Choosing the right shower enclosure is made easy and simple with our shower enclosure buying guide! Posted By Alan, 11th Dec 2018. 3 Minute Read. Are you getting tired of browsing through hundreds of shower enclosures hoping to choose the right enclosure for your bathroom? Our shower enclosure buying guide is designed to make choosing the best enclosure easy and enjoyable from start to finish. We’ve written this guide to aid you with your decision and help you choose and buy the correct shower enclosure for your bathroom. "Square shower enclosures like the one above look great with a corner entry but there are many different shower enclosure shapes available. This particular shower enclosure comes with a corner entry door style." ● What Affects The Cost Of A Shower Enclosure? So, where do you start when buying a shower enclosure? Once you’re set it’s time to get out the tape measure! Getting the measurements of your bathroom or shower room is the most important part of buying a new enclosure. Getting this wrong will potentially unveil errors in the buying process which will more than likely create unwanted and unnecessary issues. Use a tape measure to get the sizes of your space. You’ll need the height, width and depth (preferably in mm). 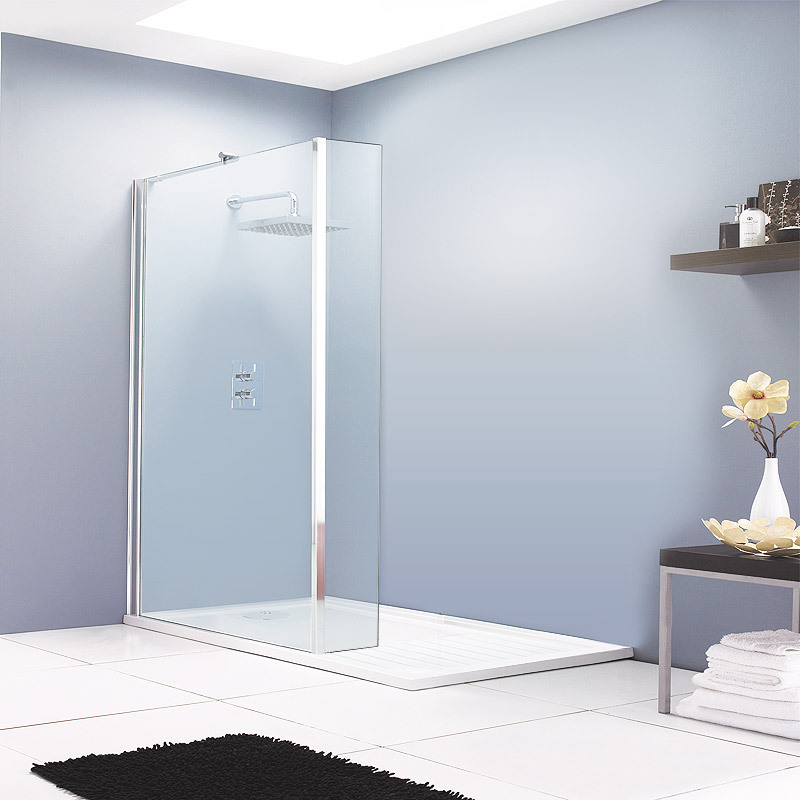 Below is an image of a rectangular shower enclosure with a hinged door. These shower enclosures offer lots of room inside and look great too! Tip - If you have an old shower enclosure and you would like to just replace it like for like then take the dimensions of the pre-existing shower tray to see what you need. Before taking a look at all the varieties of shower enclosures out there, and teasing yourself with some of the diamond encrusted options, work out your budget. A budget will save you time and reduce the chances of being led off track to the land of procrastination. Online shower enclosure retailers, like us, have price filter options on their websites which make it simple when searching through the many choices. This not only helps keep you focussed on buying enclosures in your price range but it also helps you avoid the urge to splurge or feel like there are better options out there. All shower enclosures have a common purpose and you’ll be surprised how happy you’ll be with the options within your price range, if you stick to it! What affects the cost of a shower enclosure? Whether you want to keep costs low or have a million pound budget, our buying guide will help you choose a shower enclosure for you. Below is a list of factors that usually alter the price of a shower enclosure. ● Glass thickness - You can choose from a wide variety of shower enclosure glass thickness. It is measured in millimeters (mm). Standard glass thickness includes 4mm, 5mm, 6mm, 8mm and 10mm. The thicker the glass the more durable it is. The price will also increase as the glass thickens. ● Enclosure size - The bigger your choice of enclosure the more material is required to make it. This means the cost will increase with the size of your shower enclosure choice. A bespoke size will increase the cost as a specialist may have to build this size of shower for you. ● Enclosure style - The style of your enclosure shouldn't alter the price too much. Most styles start at a reasonable price and increase in cost as other factors such as size and material change. ● Enclosure brand - Depending on which brand of shower enclosure you choose, the cost may differ. 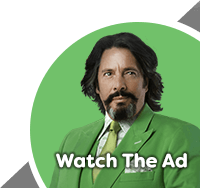 Brands such as Arcade and Roman will cost more than brands like Ventura and Apollo. ● Accessories - Having additional shower enclosure accessories will obviously alter the cost. Although these will also increase practicality in most cases and make your shower experience perfect for you. Things like handles and shower wastes can increase the cost of a shower enclosure if you want something extra special. The walk in shower enclosure above is not only spacious but very easy to enter and exit. It offers great practicality for those who have large enough bathrooms to accommodate one. When buying a shower enclosure, it’s always tempting to ‘go big’ and imagine yourself dancing around yours to ‘singing in the rain’ or ‘it’s raining men’ but, this can only lead to trouble. Once you have your measurements stick to them and make sure your shower enclosure will actually fit into the area it is supposed to. Some of the more common sizes of shower enclosure include 800x800mm and 900x900mm. Other sizes which fall outside of this scale may come under the bespoke sizing category and require a specialist for the manufacture of them. Be careful not to buy an enclosure that is too tall, too wide or too deep. Try not to overcrowd your bathroom as it won’t look as good and getting around the room will be cumbersome. On the flip side, getting one that is a bit small may cause a claustrophobic feel which is never a good thing. There are lots of different shower enclosure shapes and styles to choose from. Don’t worry though, you can use our comprehensive guide to find the best type of shower enclosure for your bathroom. 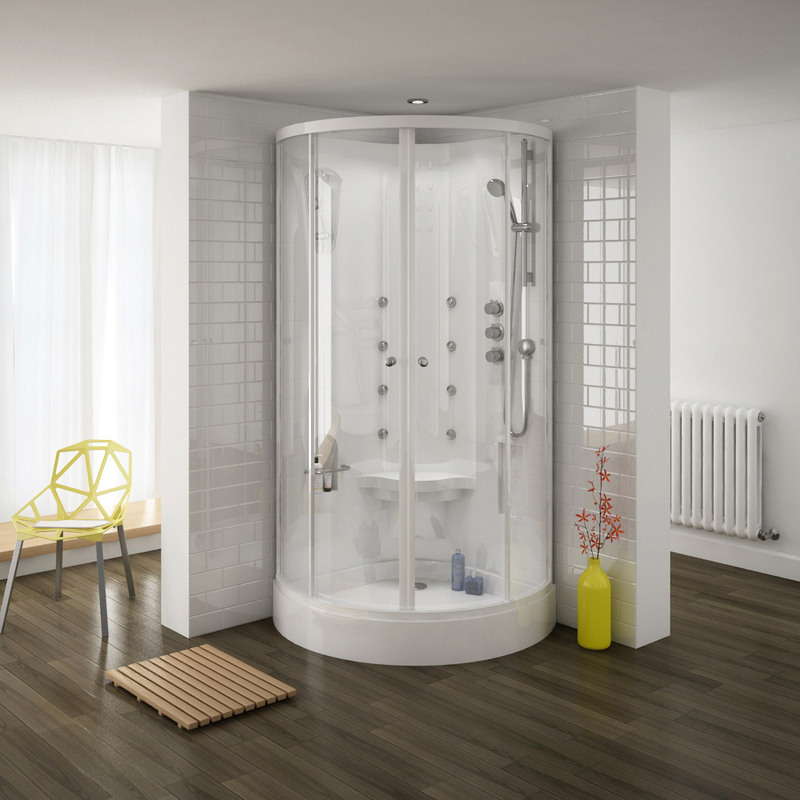 Choosing the right shape for your enclosure will allow for practicality, comfort and style when showering. Remember, your bathroom design is your idea and there is no right or wrong choice but, choosing the wrong shape of shower enclosure can sometimes reduce your room’s potential. ● Quadrant Shower Enclosures - A quadrant shower enclosure is similar to a pizza slice shape and designed to save space by utilising the corner of a bathroom. This shower enclosure is a very popular shape especially in smaller bathrooms but, it is still used heavily in various sizes of bathrooms and shower rooms because of its modern appearance. ● Offset Quadrant Shower Enclosures - An offset quadrant shower enclosure fits neatly into the corner of a room just like the quadrant design but it is longer than standard quadrant shower enclosures. 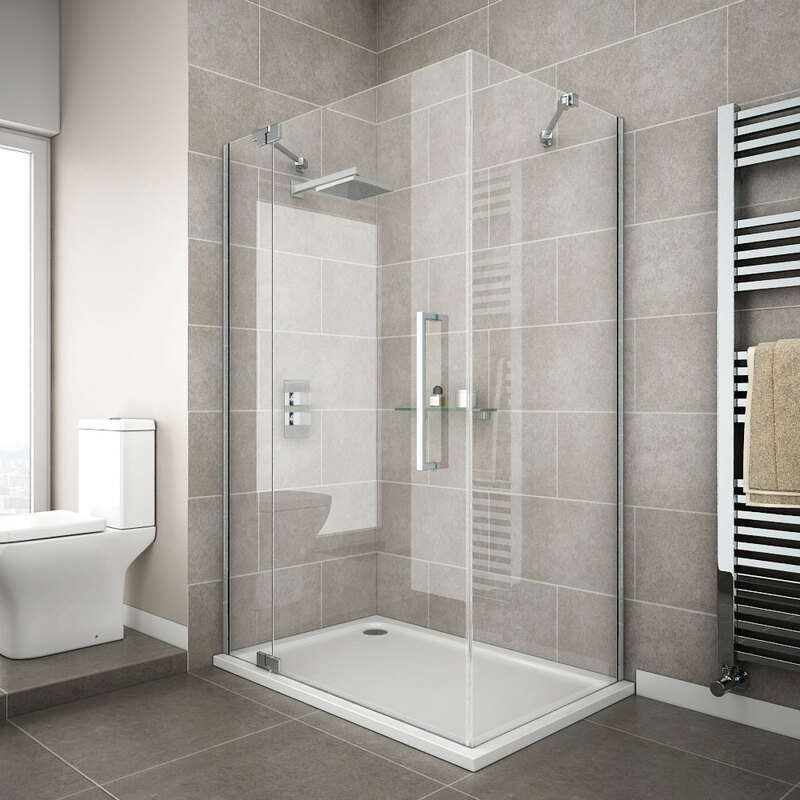 It enables the buyer to choose a larger enclosure without wasting too much space in a bathroom, en suite or shower room; especially if space is tight. ● Rectangular Shower Enclosures - Being in the shape of a rectangle, a rectangular shower enclosure allows it to use a similar space to a standard bath. It offers a great deal of shower space to the user and is perfect for larger rooms where there is an abundance of space. If you like singing in the shower then you’ll probably be able to dance a little bit in this one too; just watch you don’t slip. ● Square Shower Enclosures - The square shower enclosure offers both practicality and style to most bathrooms. It uses the space of corners well and can have a variety of shower doors fitted to it. ● D-Shaped Shower Enclosure - D-shaped shower enclosures is similar to the quadrant shape however, it mustn't be confused as being the same. Its flat back allows it to sit against a straight wall whilst offering the style and space of the curved design. It can sit in the middle of a wall rather than a corner and be much more of a feature piece. They say style is everything and with shower enclosures this saying also applies. Depending on your budget, you can really go to town on the style of your enclosure and below is a list to help you. ● Frameless Shower Enclosure Styles - A frameless shower enclosure has no visible frame. This frame-free styling gives it a very modern and expensive look that will add a touch of luxury to any bathroom. Frameless enclosures come in all shapes and sizes. ● 3 Sided Shower Enclosure Styles - A 3 sided shower enclosure utilises a flat wall as its 4th side. It’s ideal for middle of the wall placement and allows the shower to come away from the corner of the bathroom and become more of a feature. ● Corner Entry Shower Enclosure Style - With a corner entry shower enclosure you can mix style with practicality. Ideal for people who want a square or rectangular shower enclosure in bathrooms which leave you restricted on entering from the sides. ● Walk-In Shower Enclosure Style - A walk-in shower enclosure (also known as a wet room) is the most practical enclosure for entering and exiting. Its doorless design makes it simple to get in and get out of, its ultra-modern look makes it perfect for any spacious bathroom. It just doesn’t work as well in small rooms as it does require a lot of space. The quadrant shower enclosure pictured above has sliding shower doors which are excellent space savers. They're easy to clean and practical too! Unless you’re choosing a walk-in shower enclosure you’ll probably want a door on your enclosure to keep the water inside. Different shapes and styles allow for various shower doors to be attached and below is list of the various types of shower doors on offer. ● Sliding Shower Doors - Sliding shower doors are perfect for quadrant enclosures and offset quadrant shower enclosures. ● Hinged Shower Enclosure Doors - A square-shaped shower enclosure or rectangular enclosure will usually benefit from hinged shower doors. The door will swing outwards so it may not be ideal for confined spaces. ● Bi-Fold Shower Doors - Bi-fold doors are a great addition to square shower enclosures and rectangular enclosures. The join in the middle allows the bi-fold door to fold in on itself which is a great way to save on space. Great for smaller rooms with less space. Shower doors can also come in framed and frameless styles. Make sure you choose matching styles otherwise you may not create the look you’d expect. A shower tray sits at the bottom of the enclosure and is the part of the shower enclosure where you stand. There are lots of style options depending on your enclosure and the material used is usually stone resin or acrylic. Below is list to help you choose the right shower tray for your enclosure. Unfortunately, there are no prizes for guessing which shower enclosure these trays match up with but, there are a few covered in this list which we haven’t already mentioned. ● Quadrant Shower Trays - Perfect for your quadrant enclosure, quadrant trays come in many sizes, colours and designs for you to choose from. ● Rectangle Shower Trays - Partnering a rectangular shower tray with a rectangular enclosure is a wise choice. You just need to decide on material, colour and style. ● Square Shower Trays - For a square shower enclosure, the square shower tray will be just what you need. Once again, style, colour and finish is up to you. ● Offset Quadrant Shower Trays - Choose the colour and style for your offset shower tray and everything else will just fall into place. ● Pentagon Shower Trays - Here’s a style that we haven’t touched upon before. A pentagon shower tray is ideal for showers which comprise of a corner design. The pentangular shape is similar to a quadrant shower except it’s a slight mix of the square design too. ● Walk-In Shower Trays - Walk-in shower trays are ideal for walk in showers. They usually have a drying area which allows excess water to drain back into the shower area. Easy for keeping clean and dry! A shower tray may require legs to lift it up off the floor and enable the fitting of a shower waste. Depending on the shower enclosure that you’re buying, you may be able to buy a package which includes a shower tray, legs and a shower waste. If yours doesn't come as a package don’t panic, the legs are a very easy part to buy and they are generally low cost. Make sure you’re buying heavy duty legs for durability and make sure you buy a panel to hide the legs and waste pipe; unless you’re aiming for a particular look whereby you want to show off these features under the shower tray. A shower waste is an important part of any shower enclosure. It makes the maintenance of a shower enclosure simple by allowing you to clean the waste area to reduce the build-up of muck and dirt. Some options include hair traps which reduce the chances of pipes becoming blocked up by strands of hair. ● Regular Shower Waste - For a standard shower, all you need is a regular shower waste to let the water drain away. These are low in cost and easy to maintain. ● Fast Flow Shower Waste - For high-powered showers which output higher volumes of water, a fast flow shower waste is required to allow for adequate drainage. ● Shower Channels - Shower channels not only look great but they deal with water drainage fantastically. Easy to clean and maintain shower channels are an excellent addition to any enclosure. When you’re buying a shower enclosure it’s easy to forget about maintaining it afterwards. It’s important to take maintenance into consideration during the buying process to avoid hating your choice once you've bought it and had it installed. Cleaning the inside of your shower enclosure and around it easily should be a priority. Make sure its position in the bathroom, and size, facilitates the cleaning process. Ensure you can easily reach around it with a cloth or shower squeegee. Try not to forget about floor space for when you’re vacuuming or mopping. If you have the space to house an offset quadrant shower enclosure (pictured above) then you'll find cleaning and maintaining it a doddle. These shower enclosures are also pleasant on the eye and spacious offering a great shower experience. Check out our shower cabins for a luxurious alternative to shower enclosures. Shower cabins include functions such as steam, radio and seating. The one pictured above even includes a massage feature. Wouldn't that be perfect after a hard days work? Thanks for reading our guide to buying a shower enclosure. We hope you’ve taken some helpful advice from it and if you have any suggestions then please feel free to comment with your own tips or advice. If you’ve used this guide to buy a shower enclosure then we’d love to see which one you decided to go for. Send your photos to us via email.